China just sent Europe into bear market. U.S. next? China sure is playing a larger role on the global (economic) stage now. The Chinese government's attempts to manipulate its currency and stock market this year have caused a global panic. As China goes, so goes much of the world now. China's own market has plunged into bear market territory -- a severe drop of 20% or more. And it has dragged much of Europe and Japan with it. 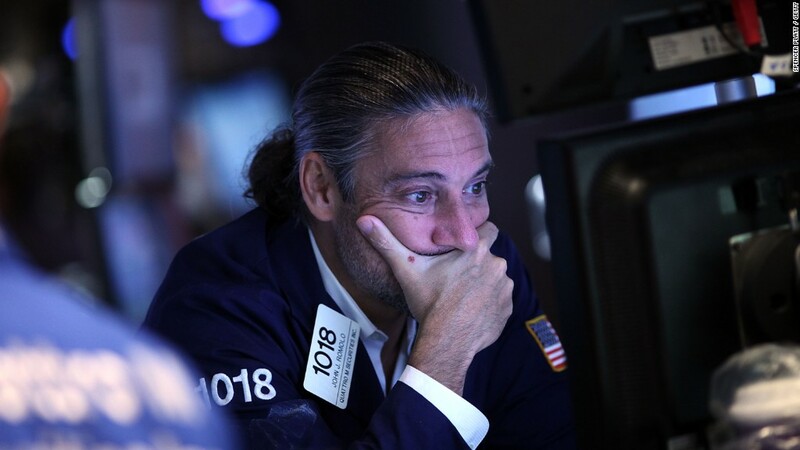 After Wednesday's big global sell-off, France and the United Kingdom entered a bear market too. Japan's Nikkei index is also there. Japan exports nearly 20% of its goods to China. Germany tumbled into a bear market only a week into 2016 as investors worried how the country's companies would fare if China wasn't buying as many of its goods. China and the United States are Germany's biggest trading partners outside of Europe. While China still claims its economy is growing at 6.9%, most experts believe the real statistic is far lower and that's why the government is taking such dramatic action. Related: What will it take for this 2016 selloff to stop? There's a tug of war between the influence of China and the United States on world financial markets. U.S. car sales are at an all-time high and unemployment is at a very low 5%. But the economy is still chugging along with "good but not great" growth. American stocks have taken a big hit, but not nearly as much because the U.S. remains a driver of global growth too. The big drop in oil prices also benefits many Americans because it's a huge cost savings. That said, U.S. stocks aren't immune from the impact of China and the pain in the energy sector from cheap oil and gas. The U.S. market fell into correction this month -- a drop of 10% or more. Whether the U.S. hits bear market territory will largely depend on whether oil prices continue to grind lower and any signs that the economy is deteriorating.